It’s a little-known fact that business was always a favorite conversation topic for renowned international model and Asia’s Next Top Model Season 3 host Georgina Wilson. With a multitude of successful fashion campaigns and hosting stints under her belt, it is impressive to note that Georgina is beauty and brains with a double major degree in Finance and Accounting from the University of Sydney. Her strong business acumen is furthered fueled by conversations with fellow entrepreneurs and friends Bea Soriano, Eric Dee and Martine Cajucom, as well as her love for all things fashion. With a fascination on how start-up brands grow to achieve success, together they put up Sunnies Studios, Inc., now one of the country’s biggest eyewear stores. 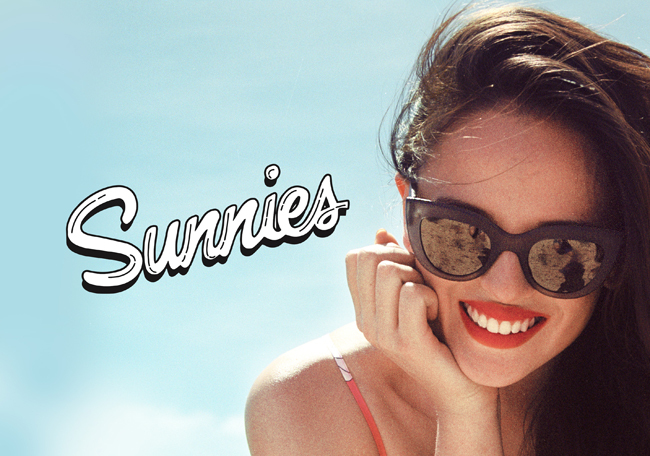 Since its launch in 2013, Sunnies has beefed up its mainstream presence as evident in its vibrant ads on major billboard sites and online platforms. With eyewear as the main product for their business, Georgina, Bea, Eric and Martine set out to build a brand for today’s generation of social media enthusiasts. From choosing the sunglass designs, making the shop posters, and heavy lifting stocks to the trunks of their cars, all of them were hands-on. In hindsight, they all believed that doing all the legwork themselves led them to better understand their business venture inside out. Doing business with friends also made it easier for them to divide work based on their areas of strength. Georgina was in charge of marketing, Martine became creative director, Eric handled finance, and Bea was on top of operations. As they performed their roles, one of the things that became clear to all four was that, in business, you have to act fast to seize windows of opportunity. With this key insight, they tooled themselves and their outlets to operate in a flash. One of the best moments that showcased the go-getter attitude of the Sunnies Studios partners is last year’s Labor Day promotion. With only one-day lead time, the partners decided to have a Buy 1 Get 1 offer for the first store hour of May 1st in all their outlets nationwide. To pull it off, Eric created a chat group on a mobile app to get everyone on board in no time. With the help of social media promotions, people were already lining up in Sunnies shops even before they opened the next day. Instances like this underscore the primary need for a reliable connection. Staying in touch even while mobile lets entrepreneurs like the Sunnies team to run their operations wherever they are. Alongside Globe myBusiness’ innovative customizable postpaid plans, the small and medium enterprise arm of Globe also offers a portfolio of solutions that are made for entrepreneurs. Globe myBusiness solutions are created to maximize profits through services like mobile point-of-sales solution Globe Charge, boost efficiency with vehicle trackers and CCTVs for asset management, and aid in additional business advertisements through Large Format Displays (LFD). To learn more about Sunnies Studios, check out Georgina, Bea, Martine and Eric’s video through the Globe myBusiness YouTube channel and in social media with hashtag #InspiringSuccess. To know more about Globe myBusiness products, visit www.mybusiness.globe.com.ph or email mybusinesscare@globe.com.ph. You can also follow the official Globe myBusiness Facebook page and on Twitter: @GlobemyBusiness or call its dedicated hotlines at (02) 730-1010 in Metro Manila and Luzon, (032) 401-1010 in Visayas and (082) 321-1010 in Mindanao.